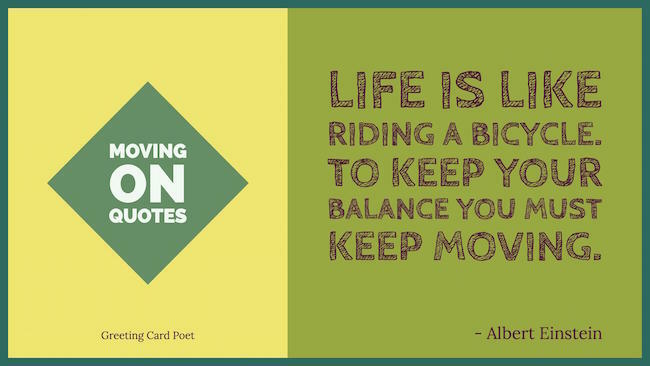 These Moving On Quotes depict the most basic principle of life – it keeps going on. Life goes on without concern what happens in your life or in this world. Everyone should realize the importance of moving on in life, whether it is success or failure, pain or happiness that comes your way – you should keep moving on. If it’s a bad relation, it’s time to move on. If you are not finding fun in what you are doing, it’s time to move on. Changes are hard, but they do bring in something new and more meaningful. 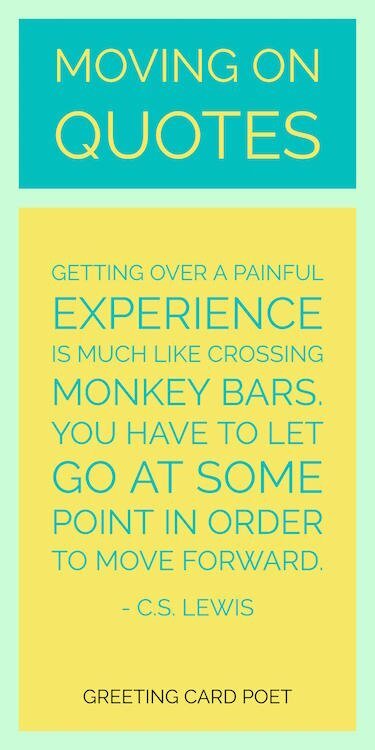 Here are some deep and meaningful Moving On Quotes from great men and women to help you realize the importance of moving on. If you don’t make bold moves, the world doesn’t move forward. Stand up and walk. Move forward. The best career advice I’ve gotten is to stay focused, keep moving forward. You are going somewhere. Every day. Every experience you get. You’re moving forward. If you’re not having fun – I don’t care what you’re doing – don’t do it. Move on. Find something else, life’s too short. If you have an idea, you have to move on it, to make a gesture. Drawing is an immediate way of articulating that idea – of making a gesture that is both physical and intellectual. It’s time to move on to the next step in the psychedelic revolution. We’ve reached a certain point, but we’re not moving any more. Healing is a process. Sometimes it’s quick, and other times it’s gruelingly long. You’re the only person who knows when it’s time to move on and let go. Affirmative action was never meant to be permanent, and now is truly the time to move on to some other approach. What am I supposed to do, Sit around and wait for you? Well I can’t do that, And there’s no turning back. I need time to move on, I need love to feel strong. Cause I’ve got time to think it through, And maybe I’m too good for you. I didn’t want to become a reserve player, or a bench player, and it was time to move on and take on another challenge. Some relationships aren’t true relationships. And it’s usually when the other person does something really terrible that you realize it. And that’s when it’s time to move on. You’ve gotta know when it’s time to turn the page. 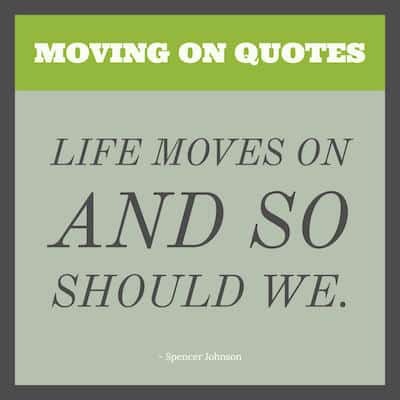 If you have any suggestion for Moving on Quotes, please let us know via the Contact page. Thanks. You’re on Moving On Quotes and Sayings page.